Not accepting anything less than our best in the business! What to expect when working with Nelson, Inc.
Nelson Inc. at its inception in 1983 was determined to provide quality products and responsive solutions to as many customers as time would allow. Now, after 34 years of maintaining that focus, Nelson Inc. has become a problem solving leader in the Overhead Crane and Hoist business. Our central location has allowed customers from all around the country to benefit from Nelson’s commitment to excellence. As learned from a previous mentor’s successes…he said what made the difference between his business and the rest was that “We loved the business.” We at Nelson, Inc. continue that love of the business. Cranes at the forefront of Safety, Efficiency, and Durability. 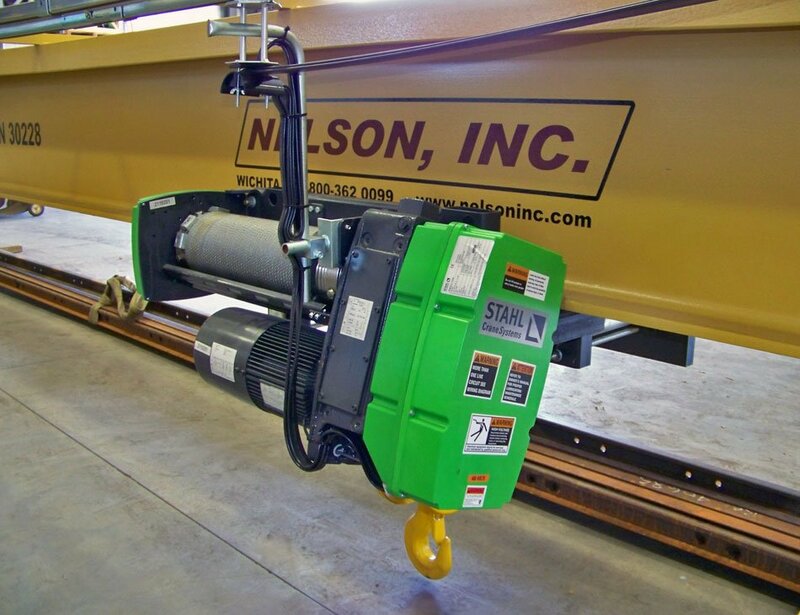 Here at Nelson, Inc. We are proud to offer a wide selection of cranes and hoists to fit your businesses needs. 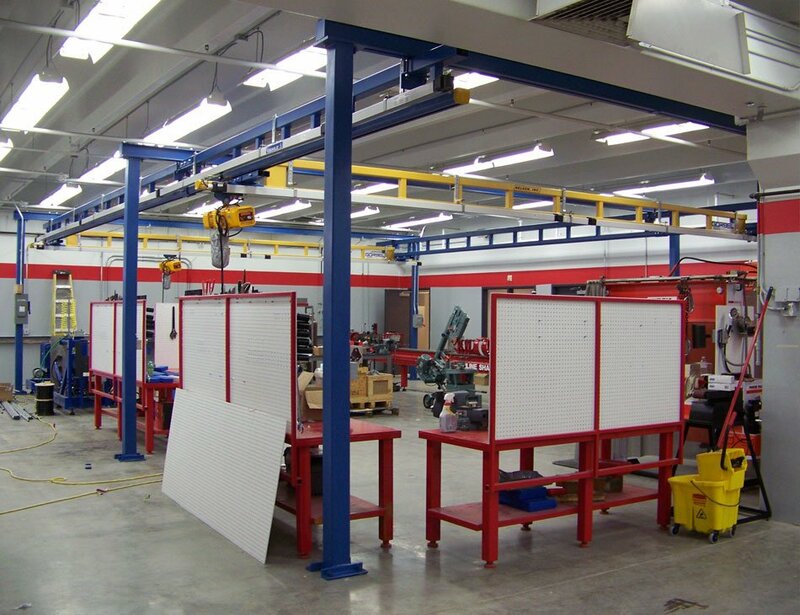 With Top running single and double girder cranes, Under running single girder cranes, Jib, and Gantry Cranes; and capacities from a few hundred pounds to hundreds of tons. Our cranes are your lifting solutions. Electrical, controls, mechanical, large or small, we have you covered. 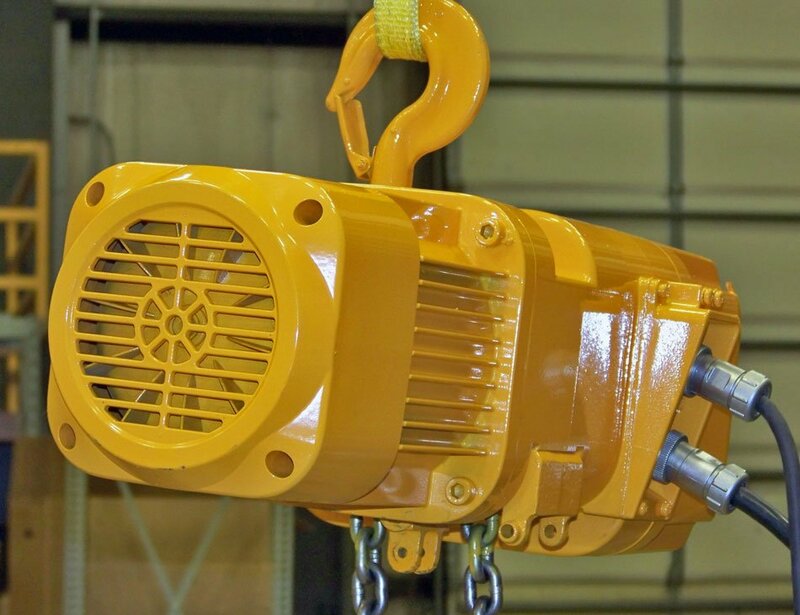 When a hoist is a better solution for your lifting needs, we have you covered there as well! From 120lbs to 50+ Tons we provide Electric Chain Hoists, Wire Rope Hoists, Pneumatic Chain Hoists, and Pneumatic Wire Rope Hoists. You can rest easy knowing you have quality equipment in your facilities. Systems starting at 250lbs. and going up even to 10 ton standard. Need a Bridge Crane but your building wasn’t designed for one? Maybe a Free Standing System would just fit your need. These may be designed to minimize the need for foundations given that you have adequate concrete floor conditions. 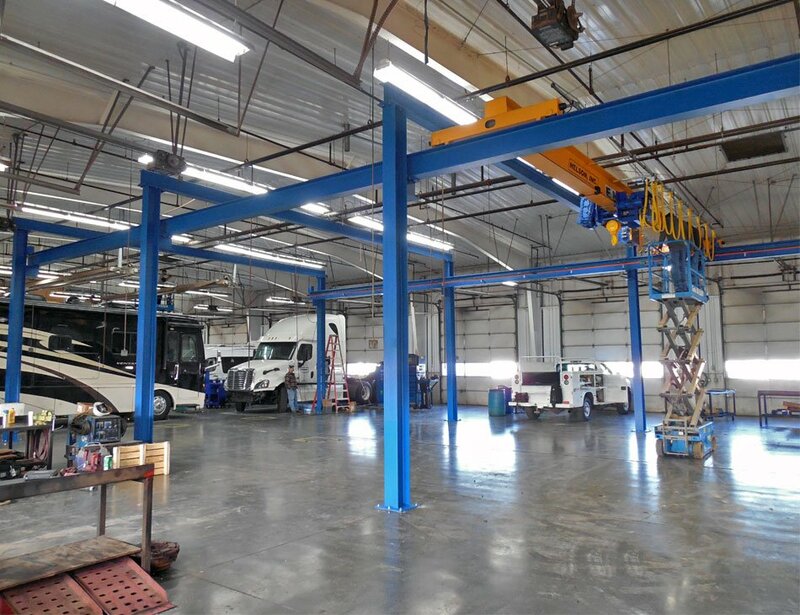 Yes, details have to be determined but, “a nice new system is better than no system at all.” We offer Ceiling Supported Workstation Cranes, Free Standing Workstation Cranes, Free Standing Bridge Cranes, and Monorail systems. Give us a call, so we can help! Even the finest products are not bargains without a good dealer who is equipped to support their customers. Nelson, Inc. has the most modern and well equipped facilities of any dealers with parts and support for most brands. Service trucks are late model units loaded with parts and supplies for field service for Bridge Cranes, Hoists, and other related items. All of our service technicians are trained, knowledgeable, and are courteous to work with. Our Technicians are employees and not contracted labor. We make it easy to do business.